There is a website / blog dedicated to lab lit : LabLit refers to fiction that is specifically about laboratory culture and the perceptions of that culture. The site is edited by the science writer Jennifer Rohn and she and others (mainly younger writers) dedicate themselves to writing about the science environment, stories that take place in the lab. If you want to find out more, you can also listen to a podcast and read some more about this here. I recently read Rohn’s book ‘The Honest Look’, which was published in paperback in November last year. The Honest Look is a good story, and as well as being what the label on the tin says, i.e. a novel about a young scientist who becomes entangled in the ethics, deceptions and ruthless ambitions of scientists working in a start up biotech company in The Netherlands, Rohn also has quite interesting comments on writing poetry. Claire, the protagonist in this story, constantly remembers her father who was a poet and who taught his young daughter word exercises that are very similar to the techniques taught in creative writing classes. ‘Describe that tree’, he tells her, ‘now imagine the tree is under water’, ‘imagine it is up in the sky’, ‘do not use adjectives’, etc. When choosing her undergraduate study, however, Claire opts for science, rather than literature. She never loses the literary bent, however, and writing becomes her hobby. Only at the very end of the story does the relationship with her father, and her reason for her unease about his death, unravel. That is not the main story though. Claire is offered her first post PhD job with the biotech company, NeuroSys, in the Netherlands. The choice of the Netherlands as a setting is also very interesting (for me, at any rate) and I think Rohn manages to get the Dutch character and attitudes to the expat English community to a tee. Being Dutch, but having lived most of my life abroad and understanding the discomfort you find yourself in when engaging with a group of ‘natives’, because somehow or other you just don’t quite fit in (anymore), this book is a treat. 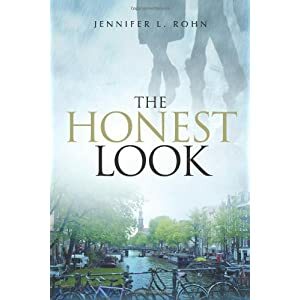 The descriptions of Amsterdam, its cafes and inhabitants outside the tourist areas, the evocation of the mood, they are all excellent and it is noticeable that Rohn spent time living there, is aware of the nuances. Again, this is not the main story, but its setting. The reason the story is filed under ‘lab lit’ has to do with Claire working in science, and a mystery that unfolds around science questions and ethics, and an environment which is firmly set in basic and applied science, within an expat community in the Netherlands. As a teacher of technical English (lab English), so many years ago, I used to read the new scientist, bits of Nature and other magazines to try and understand at least at the level of popular science what was going on. This is therefore familiar territory and I did enjoy the atmosphere that is evoked of an international community of scientists working on the edge of new and potential lucrative discoveries, and the way these relationships develop, the jealousies, the suspicions, the differences in approach. This environment combined with her own insecurities and background explains ultimately what makes Claire do what she does and discover who and what she is. I would definitely classify this as an enjoyable read and a good story. Lab lit! I love it. Every now and then I wonder/worry about the directions in which writing does NOT go and then, this pops up. Thank goodness for reading beyond my own little provincial library and B&N. This proves one of the riches of blogworld – I’d not have been aware (would I?) of this “genre” otherwise. Do I care? Yes, absolutely. Oh, Sea, you must have enormous stories yourself, being such a traveler and having lived in several places. Do tell even more when you write! As far as stories are concerned – ah I am soooo good at procrastination and blame my working life for not getting more writing done. One of these years I will, I will, that’s a promise. Meanwhile, I’ll carry on pottering around the blogs.